To tackle it we need to understand and try to resolve the conflicts, fears and depression in life in the positive way. Take care of biological needs - eat the balanced diet, keep your body hydrated, exercise, treat yourself with new clothes once in a while, take a break from work and go for the picnic. Build your emotional health – nourish your family and friends with love, respect the elders, protect the young ones, socialize with positive minded people. Discuss the problems faced with the knowledgeable person and strive for the solutions. Surpassing the ill-feeling’s like anger, revenge, etc is another cause of depression which ultimately speaks out loudly to the world in the form of pale skin tone. On the other hand, choosing to shout and throw all the reactions like slapping etc, would lead to red angry puffy face. Both outward and inward anger are harmful. Fulfilling the fundamental emotional needs helps in the long way to deal with anger and anxiety in life. There is a thin line between what we need and what we want. To live the stress free life, identify this line. Set up the boundary and limits. Follow them religiously. Understand the purpose of life with yoga and meditation. It helps in reaching the inner you and will make you aware of your deepest needs. 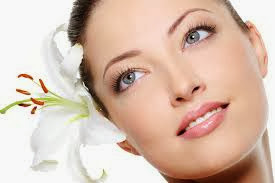 Taking proper rest in this hectic life cannot be ruled out to maintain the youthful skin. Sleep for 8 hours a day. Take a power naps as and when you require. Choose the products that touch your skin carefully and the ones that suit your skin tone – Make Up, Body Lotions, Skin Creams, Moisturizer, Sun-screen, etc.